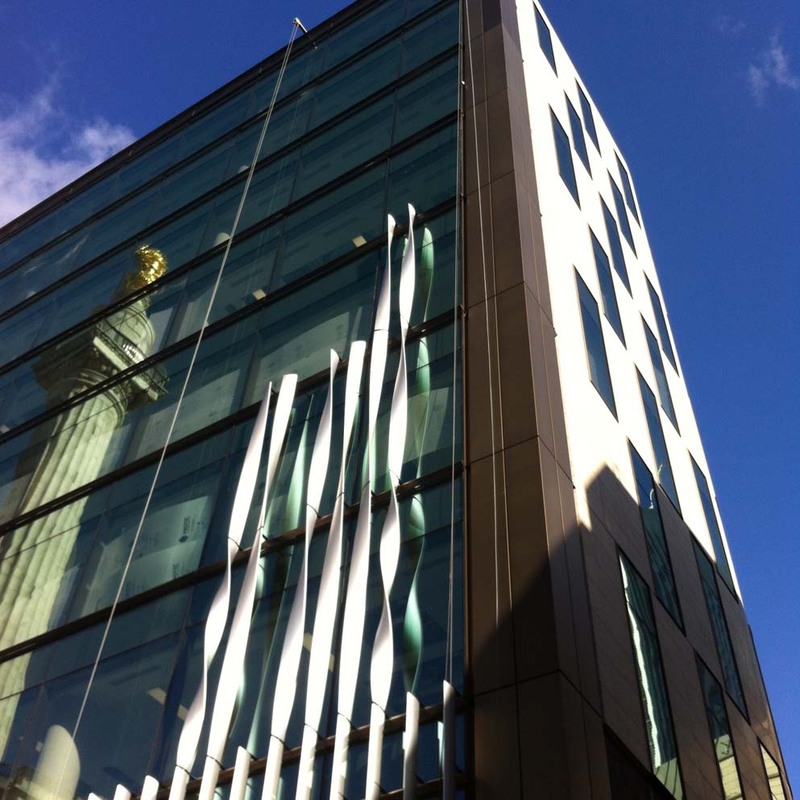 Construction at Skanska’s The Monument Building in the heart of the City of London has reached the final stages with the fitting of its main architectural feature. 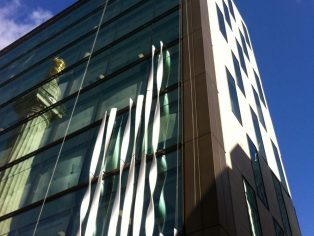 According to the company, the facade of aluminium fins will provide a distinctive ‘curtain’ of rhythmic, repeating twists from the ninth to the second floor, delivering a stunning yet simple and restrained feature to the building, and a suitable backdrop for the nearby historic Monument to the Great Fire of London. They have been designed and placed to maximise the amount of natural light into the building, while at the same time providing shade and reducing heat gain. “With Skanska, we have designed a building that not only meets its sustainable criteria, but also offers striking features while being respectful of this historic location. The Monument Building, comprising 94,000ft² (8,733m²) of Grade A office space and two ground-floor retail units, is Skanska’s first ‘Workplaces by Skanska’ development in London. The scheme, which is due to complete in May 2016, boasts four feature terraces with spectacular views to the north and south, a large reception area, state-of-the-art cycle storage and first-class shower facilities. The Monument Building is designed to achieve a BREEAM ‘Excellent’ rating, with features including LED lighting, a green roof, photovoltaic panels and an intelligent lighting control system.